Status: offline There may be a forum member or two involved. You know who you are but watch your six! 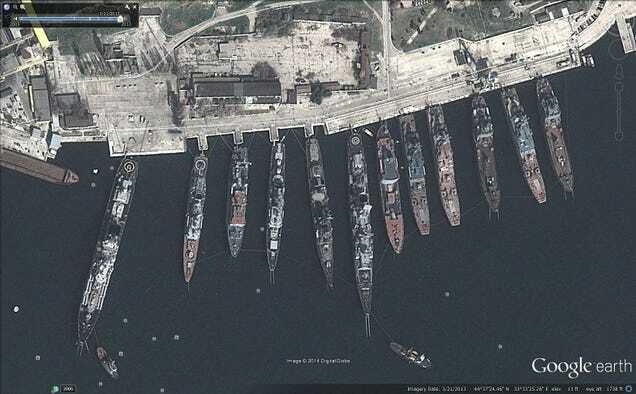 Status: offline Putin is visiting Crimea. Every time Putin is visiting ELINT/SIGINT Tu-204SR is there circling. Right now same Tupolev Tu-204 SR is 35,000 ft making circle. Censor.net reports 7 dead and 39 wounded during CTO in Mariupol, according with information provided by press-service of Donetsk oblast's state administration. Source. There has been a gunfight in Riven oblast, Ukrinform reports. Fight was over right to develop amber deposits, according to head of Saraensk district's council Draganchuk. Source. According to Unian, two men have been detained in Kyiv's Arsenalnaya metro station with DIY explosives and flammable liquids in backpack carried by one of them. They were spotted after, presumably, these liquid set up man's backpack on fire. Source. Unian reports that Turchinov is ready to organise amnesty for everyone who has not killed during unrest in the eastern Ukraine. Source. Around 2 hours ago separatists attacked company of Ukrainian military who guard TV tower on Karachun mountain, reports LigaBiznesInform. Ukrainian forces successfully fended off the attack. Source. Novosti Donbasa does report capture of Donetsk's Red Cross mentioned before. Unknowns have kidnapped 7 employees of Red Cross, all men. Women were let free. Amongst captured men 3 are from Kyiv, 3 from Donetsk and 1 from France. All of them arrived office this evening with a medicament supply. Separatists left with all medical supplies and hostages are now being held in Donetsk oblast's state administration, controlled by PRD. Source. Ukranews report that man from Kharkiv has been detained during attempt to bring devices for control of rocket-artillery fire. Source. National Guard denies assault on sanatorium with Ukrainian troops. Source. Status: offline Well, it's been dead on this post lately. Time to move up the battle. Say, for example which side of the Dnieper you are on (hint the left)LETS SEE, HOW many javelin's can we send to Ukraine in time for the next big one! They are supposed to be pre-positioned. as we know, there are known knowns; there are things we know that we know. There are known unknowns; that is to say, there are things that we now know we don't know. But there are also unknown unknowns—there are things we do not know we don't know." There may be a forum member or two involved. You know who you are but watch your six! Nice of you to make the comment Mike. Sometimes it's easy to forget how we might in a sense know, someone who is going into harms way. Status: offline Judging by the reports coming out of Ukraine, looks like we'll be re-drawing the maps in that area very soon to show a new country "east ukraine" for a short time before Russia annexes it. Status: offline The game appears to use the borders recognised by the UN at large (hence, no borders for "Abkhazia" and "South Ossetia"). Status: offline I will release a hypothetical Ukraine Escalation Scenario in 1.07. Status: offline Thanks to Baloogan and Sunburn and Myk and many others for their many great posts! What happens in ukraine is tragic but unavoidable. 3 empires struggle over influence spheres: the US-UK empire, the EU empire and the russian empire. it is a very complex and bad situation, that cannot be resolved with military options. see history and nukes for that (napoleon, hitler, MAD)... but i weep for the people who have lost their homes, their jobs, their loved ones. 5000 or more are dead now. on all sides. 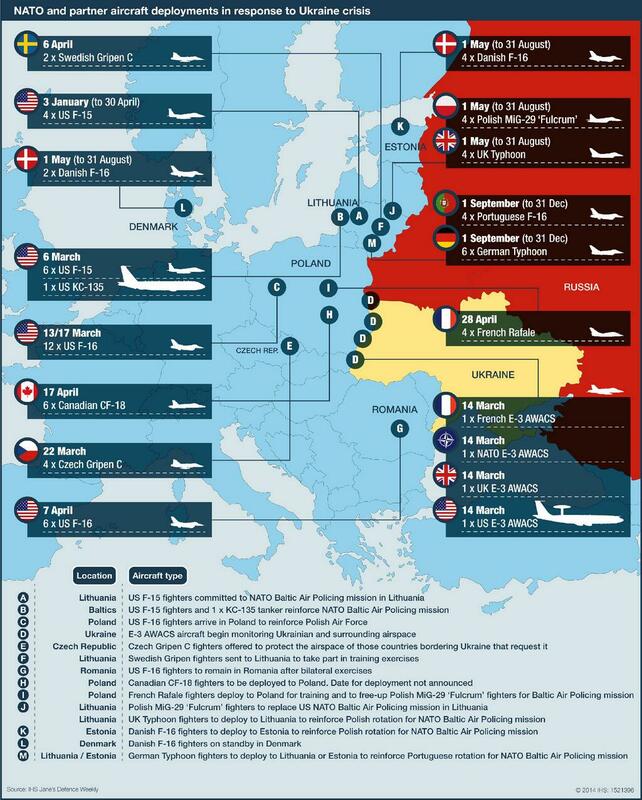 This is a low-intensity civil war, despite the propaganda claims of russian and NATO invasion. Because of failures in the past and bad governments that doomed ukraine to become a poor nation, and now a failed state, also corruption at every level and greedy oligarchs, the fanatics on either side ignited a civil war. If i would model that in CMANO, i would use small units (max. batallion size) with lots of infantry and irregular units. some armor, few sams, very few aircraft. most of the inventory is not serviced properly, breaks down often, also takeover of enemy equipment is frequent, especially from demoralized units. remember, propaganda is intense, so is disinformation, also this is a war of attrition and both sides are corrupt and bankrupt, have to rely on help from outside, even more so in 2015. 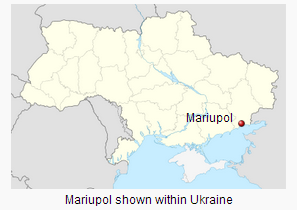 Mariupol would be vital to the economy of any state or autonomous entity that rebels might establish in eastern Ukraine. With a population of 460,000 it is the second-largest city in the Donetsk region and the centre of eastern Ukraine’s metallurgical industry. Much of the coal mined in the Donetsk and Luhansk regions has traditionally gone to fuel the country’s two largest steel-making plants in Mariupol, or has been exported via Mariupol port, the largest in eastern Ukraine. Many in the city believe that the Russian president, Vladimir Putin, wants to create a land corridor to annexed Crimea, which would require conquering not only Mariupol, but also wide swaths of the Zaporizhia and Kherson regions, which have not yet seen large movements of pro-Russia forces. Mariupol residents say the local population is evenly split between those who support Kiev and those who would like to join the breakaway Donetsk people’s republic. The pro-Russia side briefly held sway over Mariupol shortly after the start of the conflict, before Kiev’s forces drove them out in an operation in May. Pro-Russia forces have held the coastal town of Novoazovsk, about 20 miles east of Mariupol and less than 10 from the Russian border, since August. Mariupol has been steeling itself against attack since, building fortifications, setting explosives on bridges and mining the harbour. Clashes between pro-Russia and Ukrainian forces have been increasing in the area since the ceasefire. The epicentre of the fighting has been the town of Shyrokyne, which by some estimates has been three-quarters destroyed by frequent shelling. ok... now i need help what equipment they would have (use). remember, at debaltsevo the west ukrainian army had counter-mortar equipment, but they did not use it (it was boxed)? a rookie cannot use any complicated weapon, a veteran can, a professional soldier or mercenary can use the lastest equipment well.